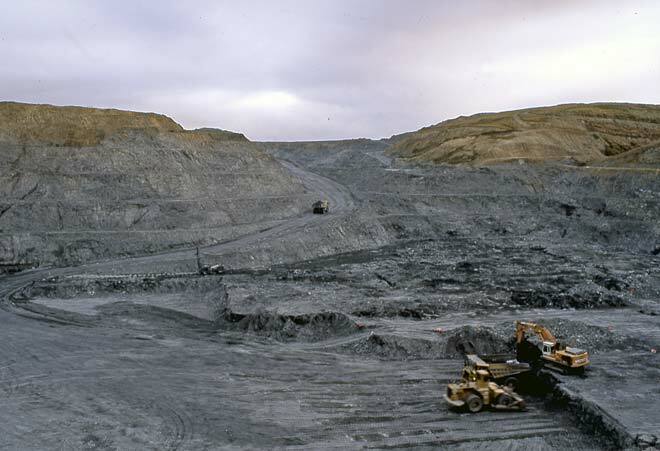 This large opencast mine at Macraes Flat in Central Otago began operating in 1989. In 2005 it was the only hard-rock gold mine functioning in the South Island. At Macraes, mining occurs in five pits of different depth and size spread over a large area. Most of New Zealand’s gold production in the 1990s and 2000s has come from just two mining operations – Macraes in Otago and Waihī on Coromandel Peninsula.